“The biggest jump is in eighth graders driving after smoking marijuana. The 2016 survey showed 20 percent of them did so, compared to 11 percent in 2014.” -Daily Sun News. Sunnyside United Unidos is a coalition that follows the Strategic Framework Model. This model allows us to create real impact in our community. We take data and strategize how we can work together to create change. Our Data Committee went through all the data and highlighted that students driving under the influence needed to be a priority. They made a presentation of the key data points to our larger monthly coalition meeting back in April 2017.
and that the consequences are not worth it. The committee thought it would be more meaningful if we included our local and respected School Resource Officers; Rollinger and Chiprez. This will capture everyone’s attention because they can say “Hey! I know them!” when they see the ad. This advertisement would not be possible if we didn’t have local community support. 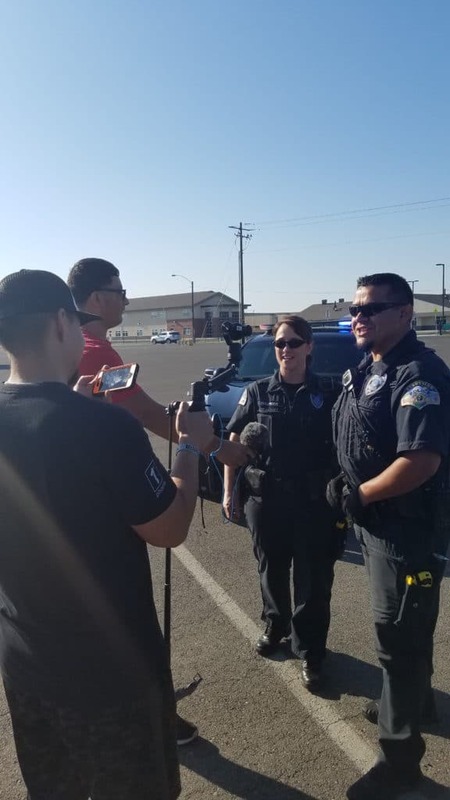 We had the Sunnyside Police Department and Sunnyside School District on board. I would really like to thank the community for coming together to create this PSA. Imagine if we had to hire spendy actors and producers! However, it is thanks to the people that care and volunteer their time, skills, and resources to help the community. It takes a team. If you are interested in joining any one of our committees or joining our coalition to share your ideas or skills, click here!